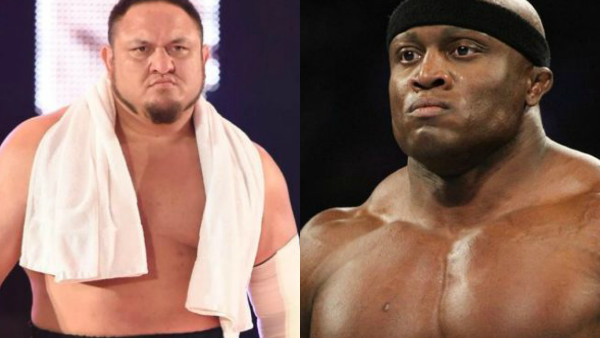 Samoa Joe & Bobby Lashley Both Dealing With WWE Injuries? Lashley and Joe are hurt, but there's no word on how long they'll be out for. Per Dave Meltzer in this week's Wrestling Observer Newsletter, Samoa Joe and Bobby Lashley are both dealing with injuries at the moment, though the extent of their respectiveissues is currently unclear. Joe has been kept off television in order to rehabilitate an undisclosed problem. He hasn't wrestled since facing Jeff Hardy on the 9 October episode of SmackDown, and while he is scheduled for a handful of live event appearances this weekend, he hasn't yet been cleared to return to competition and a replacement may be needed. This could explain why WWE had Joe's Super Show-Down match with AJ Styles conclude with a kayfabe knee injury, and followed up in the Hardy bout three nights later. Lashley, meanwhile, has been working through a separated shoulder on Raw. Meltzer writes that he's in a lot of pain, adding that this could be why the big man's physique has looked "less impressive" lately. Whether or not Bobby will actually have to take any time off as a result of this is unclear. Both injuries are extremely ill-timed, as Joe is coming off a WWE Championship programme and Lashley has found new momentum alongside Lio Rush. Let's hope both make a speedy recovery.